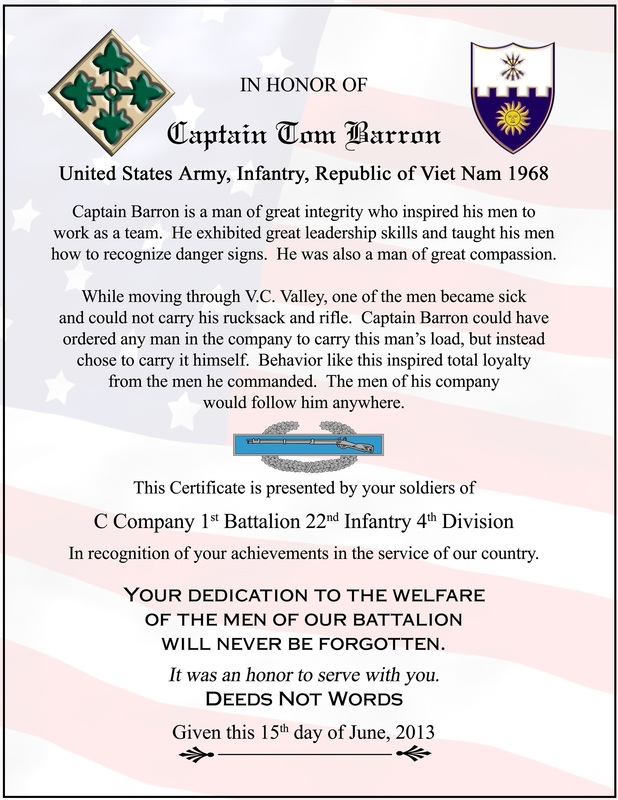 During our reunions we honor Charlie Company troops. 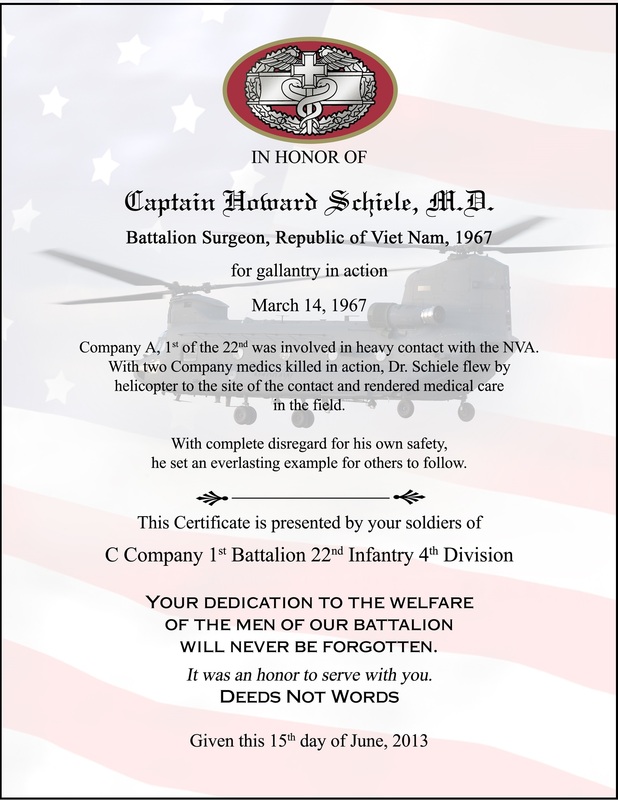 This year we honored Captain Tom Barron and Captain Howard Schiele, M.D. Please read their certificates and you will better understand why we recognized their achievements.